Tending to a lawn and the landscape surrounding a home is where most people get their first crack at influencing the natural world around them. Indeed, taking great care of Mother Earth starts at home. For many homeowners, maintaining a beautiful lawn and immaculate landscape is a core part of their effort to make the planet greener. While these intentions are good, the unfortunate reality is most lawn care and landscaping done at home ends up doing more harm than good. Whether it’s the number of resources being used, types of toxins being dispensed, or the disruption of the local ecosystem, common ways to maintain a lawn and landscaping are far from eco-friendly. Fortunately, there are ways to achieve a greener form of lawn care and landscaping. It may require some changes and adjustments, but the results are more than worth the effort and compromise. The amount of water required to maintain a typical lawn is staggering. Homeowners interested in eco-friendly lawn care ought to consider reseeding their lawns with a tougher species of grass. Online suppliers like Nature’s Seed offer a variety of grass seed suited for dry climates and minimal water intake. 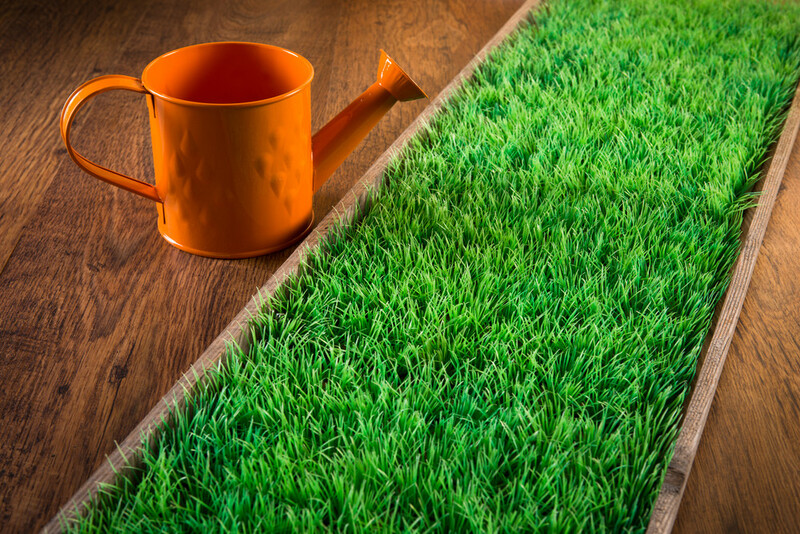 These species of grass dramatically help to cut down on water usage, which helps to make your lawn more eco-friendly. Humans are creatures of habit, but our habits don’t always sync up with the rhythm of the natural world. Someone who religiously mows their lawn at a certain time on a certain day of the week, while undoubtedly diligent and disciplined, might be keeping their lawn from reaching its full potential. As it turns out, the right time to mow depends on the type of grass and specific environmental conditions. Rather than abide by an arbitrary schedule, homeowners ought to mow in accordance with these factors. This will give grass the opportunity to establish firmer roots as well as soak in more nutrients, resulting in a healthier lawn. Achieving the perfect looking lawn and landscape is often a fight against pests and weeds. Most homeowners turn to harsh chemicals to get the job done, but pesticides and herbicides are inherently destructive to an ecosystem. What’s more, popular chemicals used for lawn care and landscaping have been linked to cancer in people exposed to them for extended periods. While it might be harder to maintain a great looking lawn with alternatives to DDT and glyphosate, the eco-friendly solutions are more rewarding in the long-term. Landscaping by its very definition is the process of altering the natural world. Homeowners wishing to design an eco-friendly landscape around their house ought to incorporate the existing environment as much as possible. Whether you notice it or not, organisms have grown accustomed to the lay of the land, ranging from earthworms to the birds who eat them. When changes are made, make the effort to evaluate the likely consequences on local wildlife, no matter how small. Attempt to counterbalance any disruption with a new provision; if removing a tree, install a birdhouse. Lawn care and landscaping are the most common ways in which city dwellers and suburbanites interact with the natural world. The ways in which homeowners look after the green around their homes will play a huge role in their attempt to live a greener life.